The one thing that kills me when it comes to ice hockey is that if you don't start early, there's really no chance of ever catching up. If you start skating at nine or ten years old, well, you missed the bus. Even if you're keeping it real and only aiming to play in-house level, for fun and exercise, it's going to be a real uphill climb to ever get proficient at the game. Especially when you see kids picking up lacrosse sticks or playing football for the first time ever as teenagers and excelling at a rapid pace. Hockey's just not like that. I mean, there's a reason... It's hard because it's two sports at once. The kids that start early, as toddlers, learning to skate just as they're learning to run have such an advantage that it's tough for those starting out later to overcome. If you're an aspiring hockey parent that thinks it's "too early" or that your son or daughter is "too young" and should wait another year or two...don't. Like everybody, I "learned" how to run when I was maybe a year and a half old. If you gave me lacrosse stick for my 10th birthday, and I liked it, you can bet I'd be a pretty solid lacrosse player by the time I hit high school. 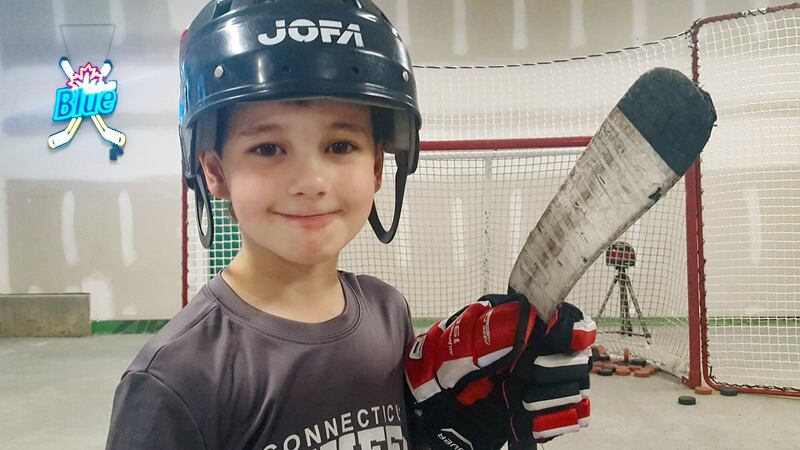 When I look in the mirror, I like to think I see someone that loves the idea of all kids giving hockey a try and learning how much fun it is to be part of a hockey team -- even if it is really hard to pick up. But a few weeks ago, I realized that, damn, I am a hockey snob. It's still getting me down. My two oldest were playing in a game on the same team and, being one of those "Hallmark" holidays, turnout was light. Really light. As in...four skaters and no goalie. Rather than skating without a goalie -- always a recipe for disaster -- one kid suited up in some 'borrowed' lost-and-found gear which left my sons and one other kid (whose dad was helping on the, obviously, empty bench) to play iron man. If you're new to this, iron man is where there are no subs. Each player plays the entire game. The other team was honorable and played a man down to at least make the game play more competitive. Sportsmanship lives in youth hockey, it really does. So, my older son Duncan wins the opening a face-off forward, splits the D, and scored a goal six seconds in. 1-0. Great start, but we all know how iron man games go. I didn't expect the lead to last...especially with a goaltender that had never played the position before and three skaters that were unquestionably going to be gassed after the first few minutes. Thing is, my two boys battled their hearts out. Our little goalie was covering enough of the net to keep us in the game -- save percentage was only like 60% but, really, the kid was standing on his head considering the circumstances. He was the biggest kid on our team, by far. Not a meatball, or anying, by any stretch. Just one of those kids that's five and half feet tall and 100+ pounds in fourth grade. Easily has 18" on Duncan and defintely twice as heavy. I mean, his size alone makes me jealous. Wearing $400 skates (confirmed later by his father -- more on that further down) cause that's what they cost at that size. My boys were up front, he played defense...and never once crossed our own blue line. And usually near the boards too. I mean, I've seen orange pylons slow offensive attackers down more than this kid. And that's not a slight on the kid at all -- fact is, it was clear, he doesn't want to play hockey. So, basically, it's my two kids and a goalie that's never played goalie before against a full team with two full lines and a goalie with a full set of matching pads and a custom painted mask. My kids, somehow, muster the energy to score 19 goals (ridiculous, I know) cause they know that the only way to win a iron man game is to score often and score early. We cover game situation stuff like that in the car on the way to and from games quite often. Problem was, on this day, my kids never hit a wall. Clearly better conditioned than I've ever been. And better conditioned than I'd ever expected. It was only in the final couple minutes, when the game was out of reach, that they stopped backchecking. And, as unbelieveable as that is, I was more taken aback by their teamwork and low-energy fist bump celebrations following give-and-go goals considering they'd been at each other's throats on the car ride to the game. Fifteen goals for Duncan and 4 goals for Henrik. As they got so far ahead, and running time started, it was embarassing. We've all been there and seen kids like that -- we get it, you're awesome. Now, chill out. I mean, though I was biting the insides of my cheeks to quell a smile, I was super proud, but was also very aware of the groan in the crowd of parents everytime my boys were coming in on a two-on-one. It got to the point that, while I could tell they were instigating their own three pass rule before shooting to slow things down -- a direct result of their coaches during the regular season stressing sportsmanship -- but even that was resulting in a sure-thing, wide open net, situation. And while I was giddy on the inside, given that this was the first time I'd seen them work together so well and dismantle, with ease, a full team of solid hockey players, I was openly cheering for the other team. As they headed to the locker room after the game, their shocked coach (who didn't get a chance to coach anyway on this day cause there were never players on the bench to coach) totally expected a different outcome going in gave me a wry grin and said, "I have no words for what I just witnessed." The opposing coach, who I know really well and who knows my boys too, kinda laughed it off and joked that he should have played full strength all game...but that even that probably wouldn't have made a difference. Under no circumances would this two-player team be defeated. It was like a validation of all of the hard work my boys have put in -- moments like this were where it all pays off. I love talking youth hockey, obviously, so I totally welcomed it considering we were the only two parents there waiting. All was good -- nothing out of the ordinary but then he went on to talk about how his son plays for the same program my boys do during the winter (he doesn't) and how disappointed he is that the coaching staff hasn't shown his son how to play the game the way my boys just played. And he just kept talking and talking -- even if I hadn't been (still) biting the insides of my cheeks and nodding false agreement with a fake smile on my face the entire time, I wasn't going to get a word in. I wanted to explain to him first that, "No, you don't skate in the same program, you skate in the same building. They're different." And further, while I'm not super familiar with the coaching staff in the program he skates with during the regular season, I'm certain they're not THAT bad. He also seemed confused as to why his son, also 9 years old, wasn't on Duncan's team last winter. I had a huge urge to go on the defensive, "Woah, slow down..." and then, maybe even get offensive. Now, I get it, maybe he's a new hockey parent. The different levels of hockey can be overwhelming but I was, literally, offended that he thought his son was at the same level as mine. I'd never once felt this before. I mean, this dad recognized talent but didn't seem to understand the work that went in to it. You don't just "sign up" for hockey and suddenly turn into a dominant player. I mean, that doesn't happen with anything! My two kids put on a show this morning because they've spent hundreds of hours (HUNDREDS!) working on it since they were three years old. I mean, in my head, I was thinking, "Are you for real?" But if I said something, anything, I'd not only be a youth hockey snob but also come across as a pompous a-hole too. I mean, he's a pretty personable guy, obviously, striking up a seemingly never ending conversation with a stranger but I'd never once been in a youth hockey related conversion with another hockey parent that I, literally, had NOTHING in common with. It was so odd to me that he was so clueless but still spoke as if he were an authority. Maybe he was trying to "hang" and talk-the-talk with me (fake it 'til you make it), assuming I was some sort of hockey player "guy" or something, I dunno. I mean, I'm no expert -- every chance I get, I ask the parents of older players how and why they did this or that. This guy was telling me what I ought to do...as I was repeating in my head "Get away from this dude..."
Hmmm... now I wonder if other parents think of me like that? Probably not -- I ask questions. So during the car ride home, I tried to tread lightly and tell my boys not to EVER listen to any kind of "advice" he tries to offer on the bench. Thinking about it all week, knowing that I'll be cornered again at the next game since, I guess we're friends now or something, I'm trying to come up with a game plan in advance of how to, respectfully, get him back on the rails, if I can get a word in. You know, explain that there are different organizations using the same facility -- our kids are not in the same program. And maybe offer some advice on what path to take if his son is looking to play more games or play for a team that practices -- summer hockey doesn't practice. Or if he's all-in, even mention that things like private lessons exist. His son has all of the physical assets and certainly the equipment to be a decent hockey player. And I'm thinking that his dad's highest aspiration for it is for him to play in an in-house league. It's not for me, but I totally get it. And I love that, at some point, he decided to have his son give ice hockey a try but main issue I saw is that the coaching from dad -- who mentioned baseball is his game of choice -- is hurting him greatly (dad was yelling from the bench to "stay back") and that's totally messing with his kid's head. Look, the kid will never be a superstar but send him out there and have him chase the puck. Those kids don't usually turn into very good hockey players but you know what? They touch the puck -- and that's what makes hockey fun. And great hockey players are generous -- had he parked himself in front of the opposing goal instead of 100+ feet behind the play for the entire game, my boys would have fed him the puck and he'd have had a hat trick. No question. Towards the end of the game, I saw my kids trying to get him to take the faceoffs to get him involved but he kept declining. 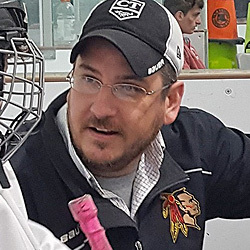 So, yeah, I may be a hockey snob of sorts these days cause I'm not keen on players of that ability lowering the overall talent level on my kids' teams that far but, boy, do I wish I could have 30 seconds to coach that kid. He'd still be way behind, skill wise, but I know I could make it more fun for him. Every parent walks in blind at some point, I realize that. 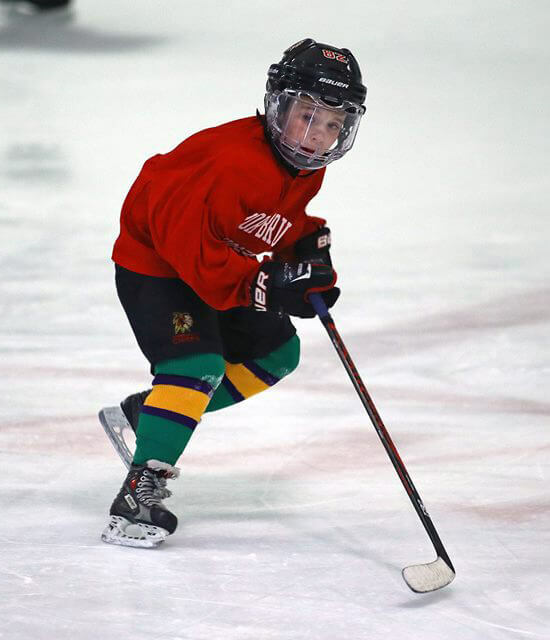 I've learned so much since Duncan's first tryout for a travel team back in 2015 from my own experience, partially, but mostly from seeking advice from other hockey parents with older kids. My boys wouldn't be ringing up 19 goals, shorthanded, without some sound advice along the way.